Page 01+02 ► I think the author/illustrator names bottom left on the cover (and second B&W cover) are a bit hard to read. 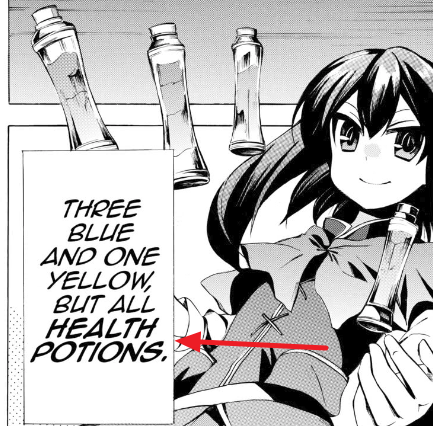 Page 11 ► The text overlaps with the bubble at the end. Page 45 ► Duplicate both. Page 47 ► It should be are only temporary. The leading in the release is all over the place. EDIT: And so is the font size, it's a two pronged issue. It's lacking consistency throughout. 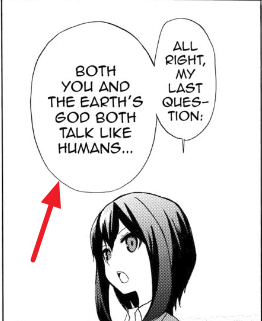 Very glad to see this manga getting an english translation. Thanks JNC! 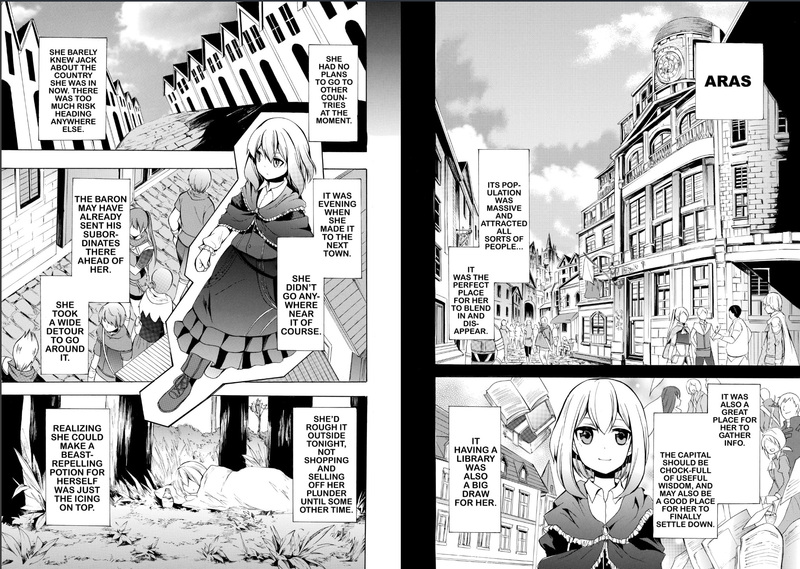 @exedore The link for chapter 2 in the coming soon column links to chapter 1 instead. And also the forum link at the end of chapter 2 links, too, at the chapter 1 page on the main site instead of this topic. Page 08 ► It should be HEALING POTIONS. Same as the LN (V1P2). @exedore Chapter 3 has been showing as available since ~5 hours ago but it returns a NOT FOUND page. 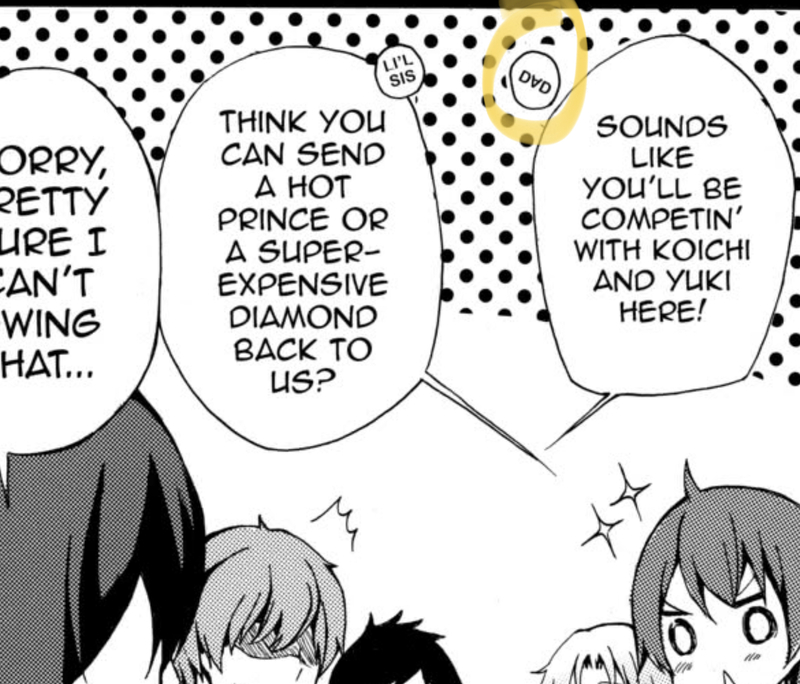 @exedore is it intended that every chapter be free previews? 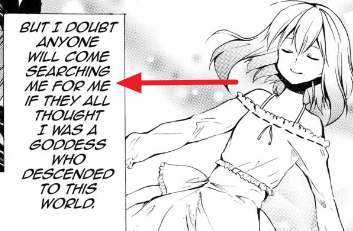 (Also same question for isekai mahou manga). Also a general manga observation is that opening the “ebook” tab for any series that has one on iOS app crashes it. @legitpancake It wasn't, but, uh, think of it like a free HBO weekend in exchange for having some cable issues. 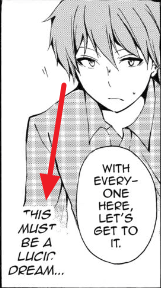 Please post about the volume issue in the Manga Errors thread - that's out of my hands. I just noticed, but is that "A" upside down on purpose? I'm sorry to say that the typesetting feels plain bad to read, especially in narration boxes -- see this screenshot for some examples. 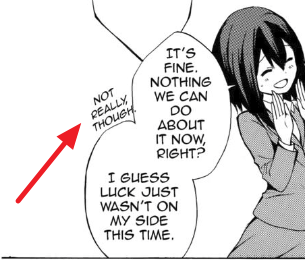 To try to give some specifics, the vertical margins aren't consistent (the text should be vertically centered in the box), sometimes it isn't even centered horizontally (box that starts "She's rough it outside tonight..."), the line spacing isn't consistent, in other pages the text clips the sides of the bubble, the font is frankly bad for this and it's not the one used for narration boxes elsewhere... Also, maybe the TL should take box size into account, because it feels cramped. 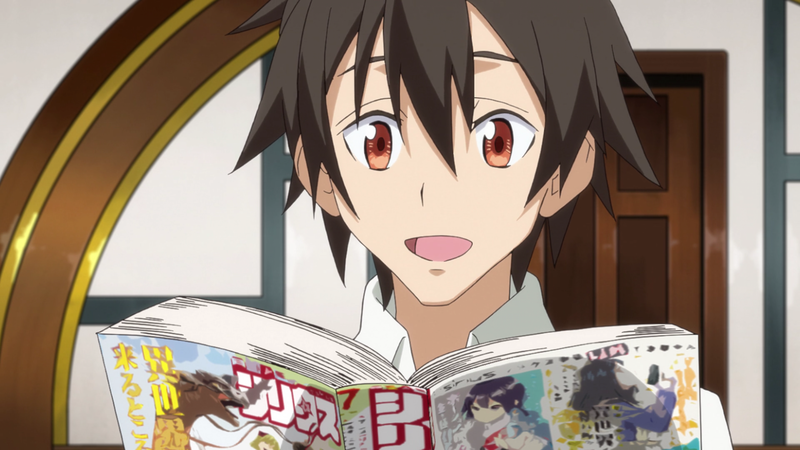 I didn't catch it myself, and I don't have time to go back and check tonight, but someone on Reddit said that this was one of the series that Rimiru "printed" in today's episode of Tensei Shitara Slime Datta Ken/That Time I Got Reincarnated as a Slime. Page 22 ► Duplicate ME. One thing that annoys me here is V1 p40. "Your body will be genetically the same as when you were 15 years old." 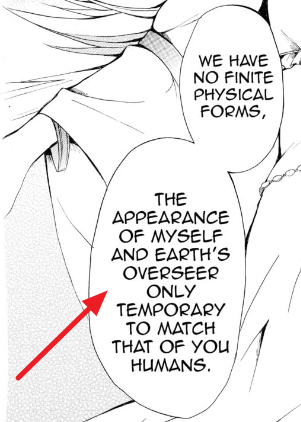 The LN version words it differently where it basically puts the genetics and age as separate things. @sinnoaria Exacty. Not like genetically it would change much if she gets younger. Else every gentest would be futile. Yeah, the genetics thing is odd even if it's a literal translation, since that's not how genetics work. Maybe change it to "physically the same"? Also, in chapter four on page 2 and later, maybe change "hock" to something else? I looked it up and it's an actual word, but I'd only ever read the related "hawk" before so a more common word such as pawn or sell might be better. I've heard hock before. It just isn't used that often in modern American English (you'd probably have to visit a butcher place to really hear it used).